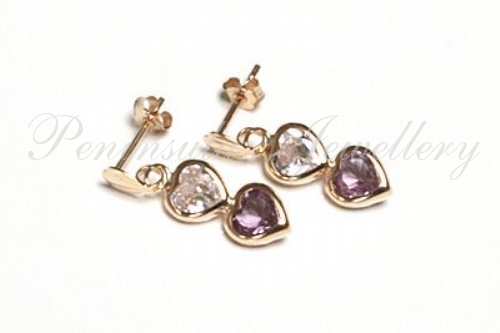 Each earring features two 4x4mm heart cut gemstones - natural Amethyst and Cubic Zirconia, set in 9ct gold. Dimensions: 18mm from top to bottom, 5mm wide at the widest point. Total gemstone weight: 1.4ct. Standard posts and scroll fixings in 9 carat gold. Made in England. 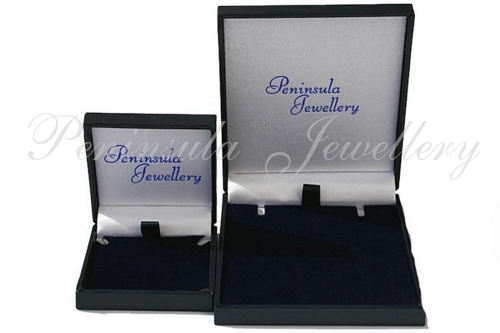 Presented in a luxury gift box - great gift!